Jackmail Newsletters builds a full email campaign suite into your WordPress dashboard. And finally, Jackmail handles SMTP by itself – so you don’t need to fiddle around with complicated settings to ensure your emails actually get delivered. This is big because normally if you tried to send directly from WordPress, your emails would end up in spam (Jackmail avoids this issue without any complicated setup). 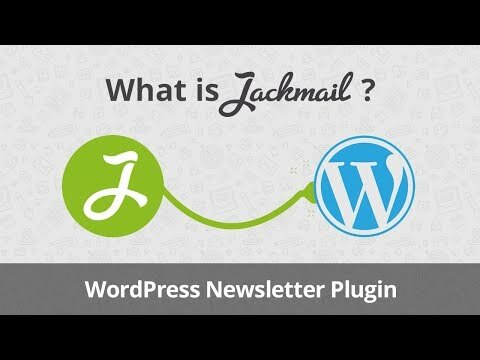 Jackmail WordPress Newsletters was added by ychizzolini in Feb 2018 and the latest update was made in Feb 2018. The list of alternatives was updated Mar 2019 There is a history of all activites on Jackmail WordPress Newsletters in our Activity Log. It's possible to update the information on Jackmail WordPress Newsletters or report it as discontinued, duplicated or spam. Advanced Newsletter Plugin for WordPress. Create, Send and Track your Newsletter Campaigns. WP Mailster enables you to run a listserv-like email discussion list on your WordPress site. This enables true two-way communication through email. DeliPress is a Newsletters and Opt-in forms plugin for WordPress. We support different ESP such as MailChimp, Mailjet, Sendgrid, Sendinblue…. Alternatives to Jackmail WordPress Newsletters for Web, Self-Hosted, Wordpress, Windows, iPhone and more. Filter by license to discover only free or Open Source alternatives. This list contains a total of 13 apps similar to Jackmail WordPress Newsletters. Maybe you want to be the first to submit a comment about Jackmail WordPress Newsletters? Just click the button up to your right!